Some of my fondest food memories are from my childhood. 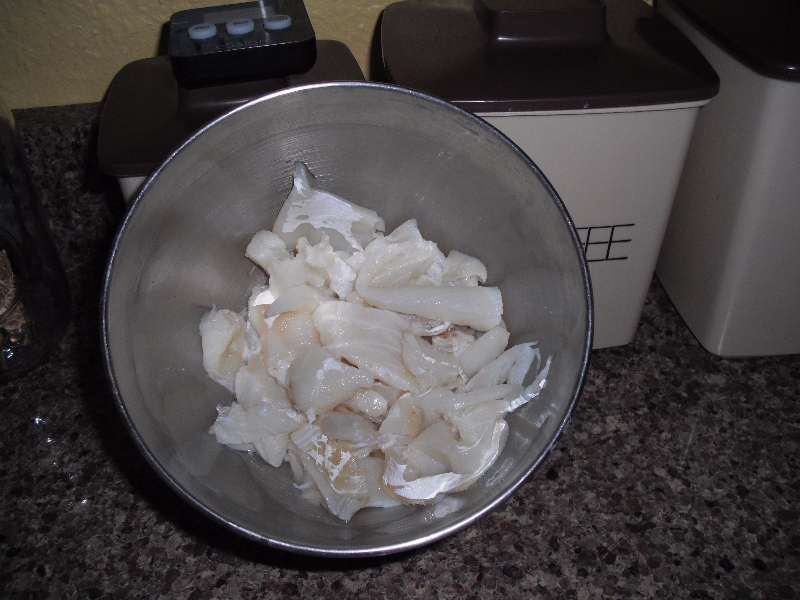 The aroma and taste of salt cod fish my father or aunts would prepare is one of my best. The codfish balls or patties, the Fiskerouletter, were a part of their Danish heritage they learned while growing up in the wilds of pioneer-age Michigan. Sadly something so readily available during the 1940-50’s had become an elusive and perhaps an almost extinct food product. Luckily I found a purveyor of salted cod products in California, Buy Portuguese Food, and soon after I had myself a supply of salt cod fillets and salt cod pieces. I am an avid reader and collector of old cookbooks and the oldest I own is from 1890 which had numerous recipes for salted cod. That is quite understandable since refrigeration was not readily available during that era. I also checked my favorite “go to” cookbook, America Cooks: The General Federation of Women’s Clubs Cookbook, my particular copy was published in 1967; the Federation was founded in 1890. This book has numerous recipes for salt cod and I selected one for codfish balls that was submitted by Doris Goodhope and another codfish balls recipe from my 1890 cookbook. 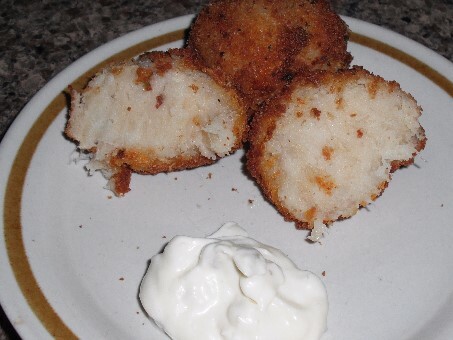 With what I remembered watching Dad and Aunt Margie preparing them, I combined the best features of all and tweaked the recipes adding my own touch to come up with my version of Deep Fried Cod Fish Balls. 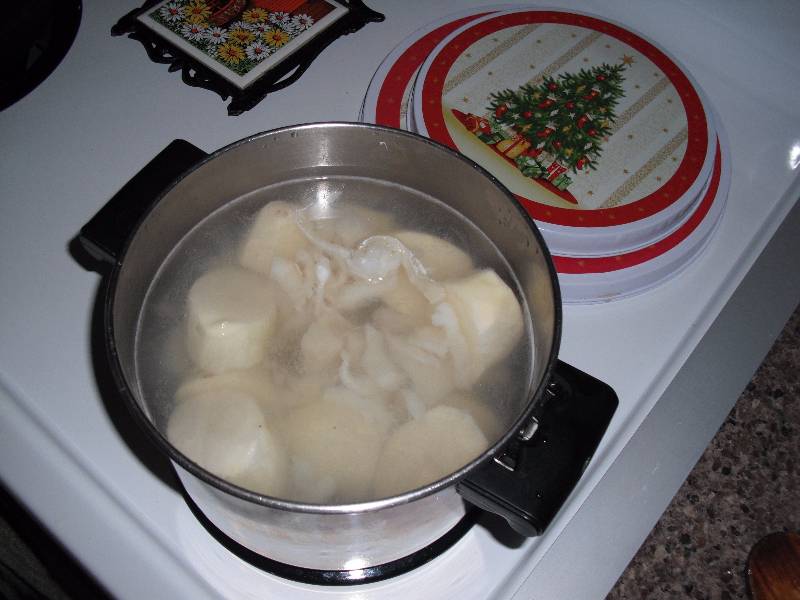 Peel and quarter the potatoes and add to a pot along with the salt cod, cover with water to cover and bring to a boil and cook until potatoes are tender. There will be a lot of foam: be prepared to skim off a lot of foam and discard. 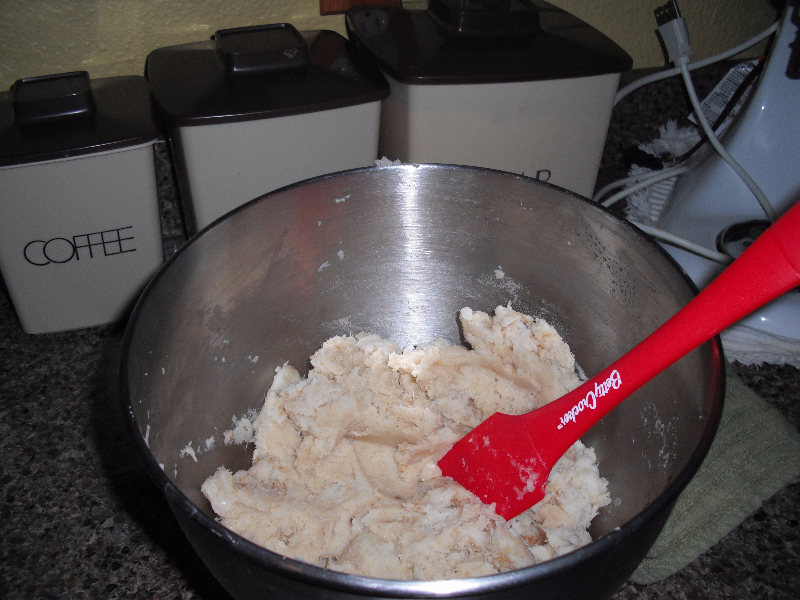 Drain well and add to a bowl and mash until no large chunks are left. 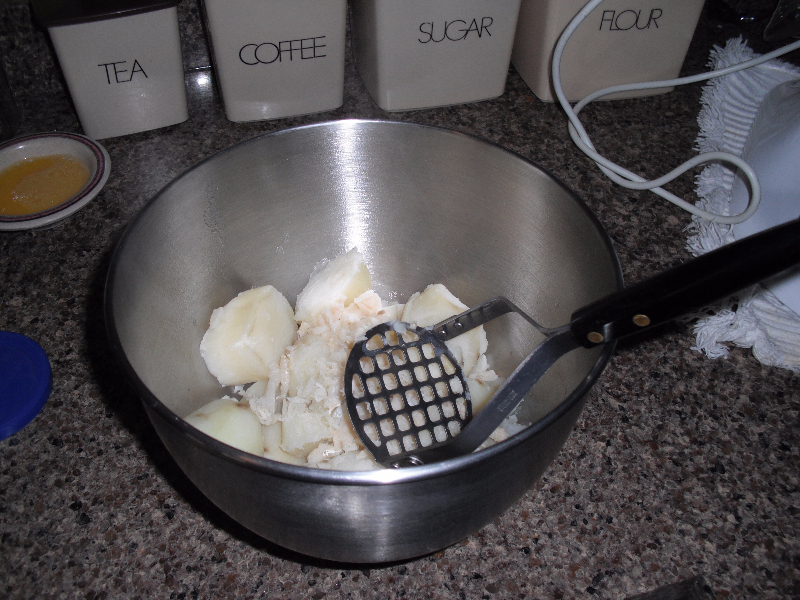 Put the bowl on the mixing stand (or use a hand mixer) and beat slowly until a smooth consistency, add the spices and the butter, scraping down the sides of the bowl as needed, until well combined. Scoop out to form balls (I used a small scoop to form small cocktail-size balls or use a regular-size scoop for dinner size balls). 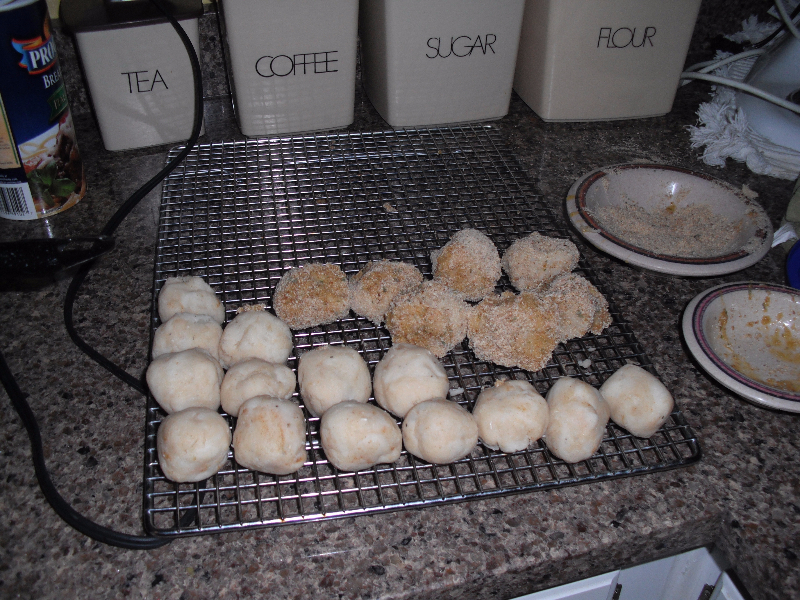 Roll the mixture into a smooth balls and roll in the bread crumbs, then into the egg and then again in the bread crumbs. 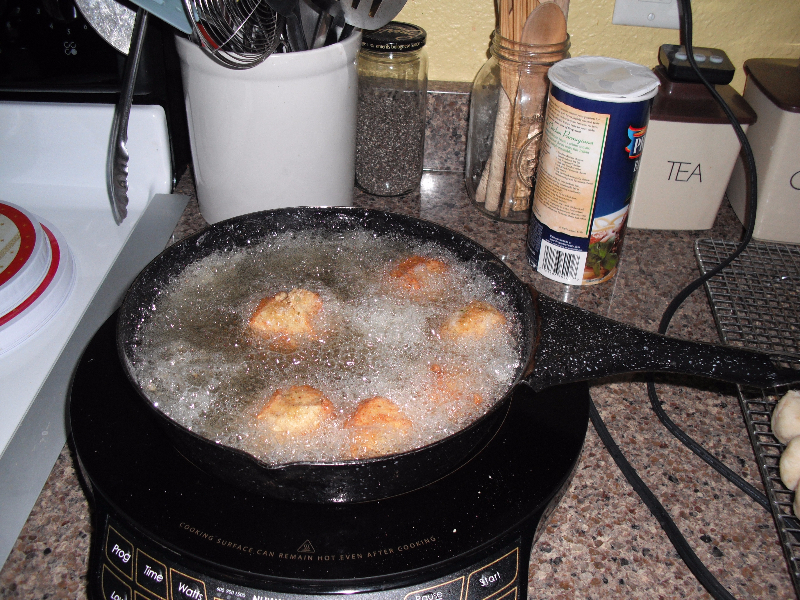 I found letting the coated balls set for about 5 minutes before frying gave me a better result. The balls that I put directly into the oil after rolling in the crumbs had a tendency to fall apart. 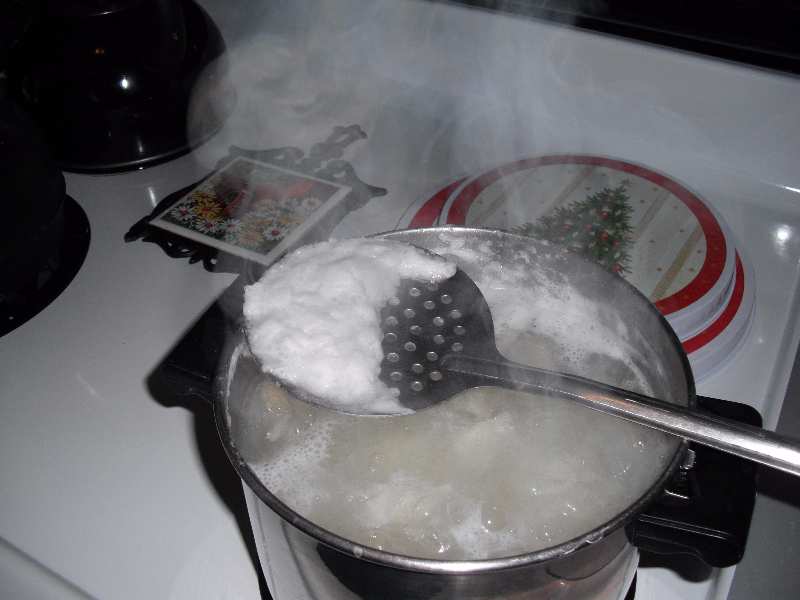 Your oil should be around 365°-370°F. I used my Nu Wave induction cook top and easily maintained the temperature of the oil though out the entire process without burning. 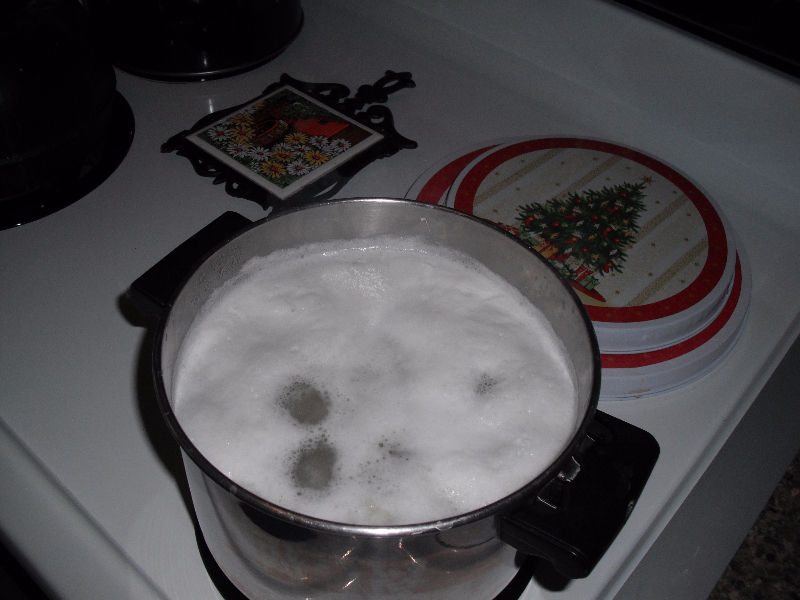 Remove the cod fish balls when nicely browned and put on paper towels to absorb any residual oil. 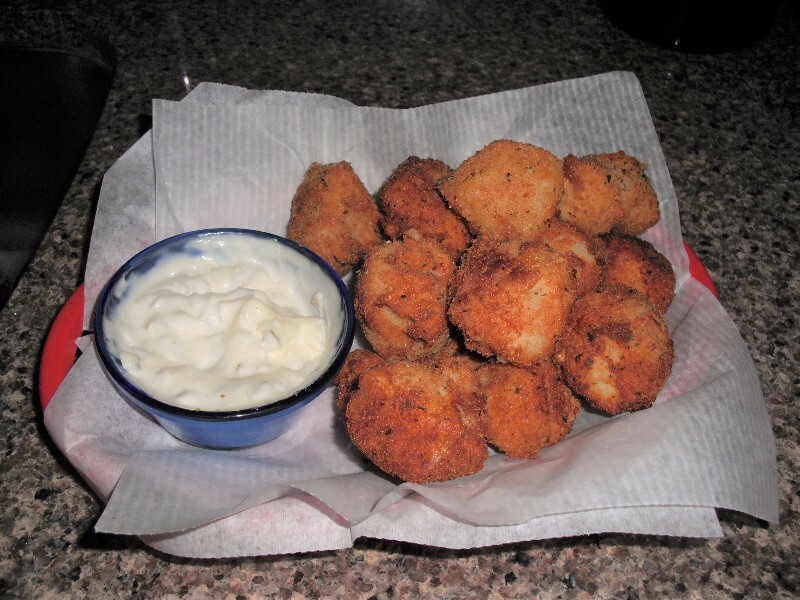 Serve with your favorite tartar sauce or in this instance I used my homemade horseradish tartar sauce. They were delightful treats; creamy inside texture without a fishy taste surrounded by a crunchy exterior.